Cora said before Game 4 on Wednesday that the lanky left-hander lost weight because of the stomach illness that led to him spending a night in a hospital after starting the ALCS opener. 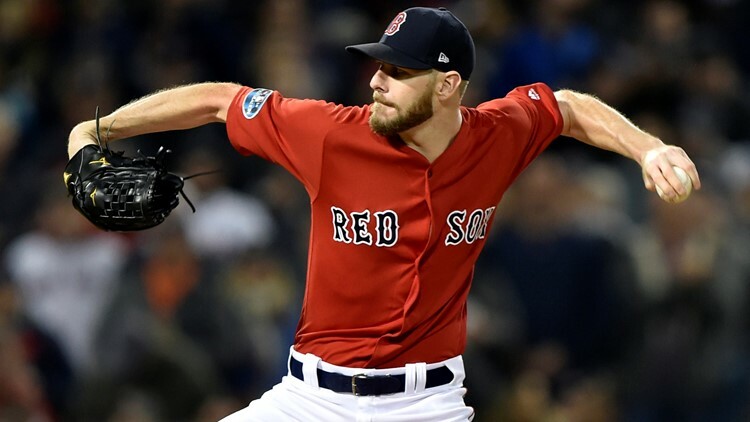 HOUSTON (AP) - Boston Red Sox manager Alex Cora says lefty ace Chris Sale is still feeling weak and won't start in Game 5 of the AL Championship Series against Houston. Cora said before Game 4 on Wednesday that the lanky left-hander lost weight because of the stomach illness that led to him spending a night in a hospital after starting the ALCS opener. Sale started feeling ill right after the game and went to a hospital early Sunday morning. Sale rejoined the team Tuesday in Houston but hasn't yet thrown a bullpen session. The club hasn't specified the ailment or treatment, though Cora has said it was nothing serious. The Red Sox haven't announced a starter for Game 5 on Thursday night, and Cora says that decision will be dictated by the outcome of Game 4. Cora says Sale is feeling better and like he'd be ready for Game 6 in Boston on Saturday night, if necessary.